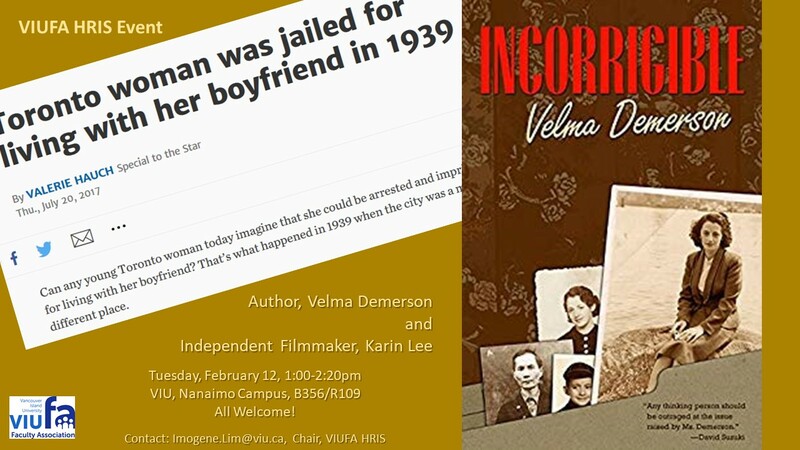 In 1939, Velma Demerson was deemed "incorrigible"; apprehended and locked up. The person who reported her to the police was, in fact, her father. Come meet and listen to Velma, the embodiment of lived women's history. Accompanying Velma is Karin Lee, independent film-maker who is working on a documentary featuring Velma. This event is sponsored by VIUFA's Human Rights and International Solidarity Committee.